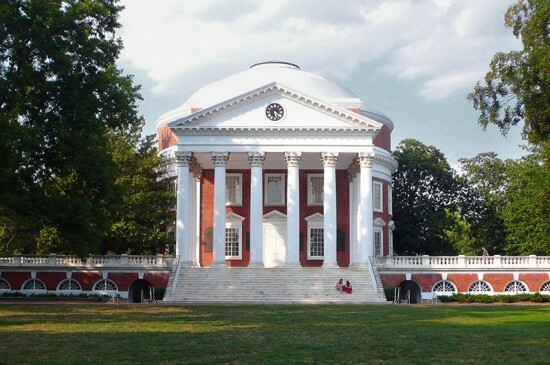 No one really knows what Thomas Jefferson’s Rotunda, modeled after the Pantheon in Rome, representing the enlightened human mind, and standing at the head of the University of Virginia’s Academical Village lawn in Charlottesville, VA, looked like originally. The structure burned in 1895, the result of an electrical surge from a local streetcar line, and records of the original design are not complete. Over the years, various generations have rebuilt and restored the structure according to their own interpretations of Jefferson’s design and to the needs of the time. 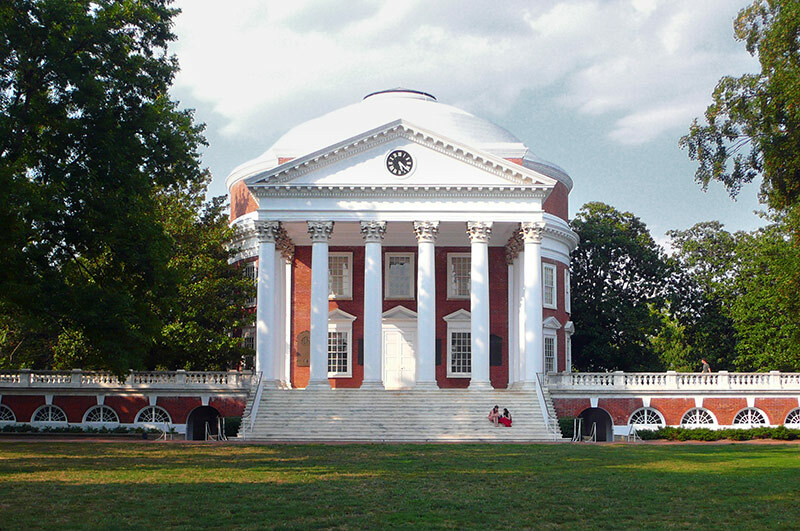 Now 40 years after the last major renovations took place for the nation’s bicentennial, UVA has covered the Rotunda in scaffolding and begun the latest round of improvements to the once-crumbling structure. 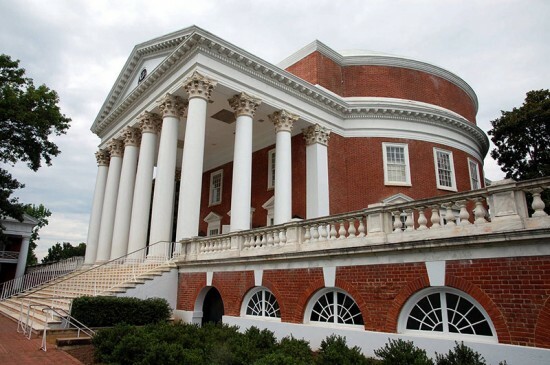 The first phase of the $51.6 million restoration project got underway last year and involves replacing a rusting iron roof installed in the 1970s, repairing crumbling marble capitals, and installing a more historically-accurate oculus atop the structure’s iconic dome, according to the Charlottesville Daily Progress. 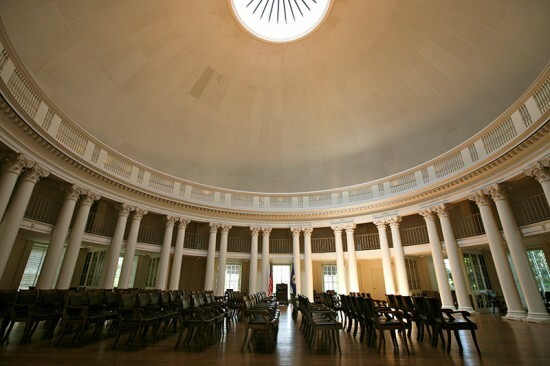 Crews are in the process of replacing the existing steel roof with a new copper one that will eventually be painted white as Jefferson intended. Corroding tension rings supporting the dome will also be refurbished to ensure the building’s long-term structural viability. Work is expected to be complete by September. Later, 16 marble column capitals installed as raw blocks in the 1890s and later carved in the early 20th century and now shrouded in black netting will be replaced. 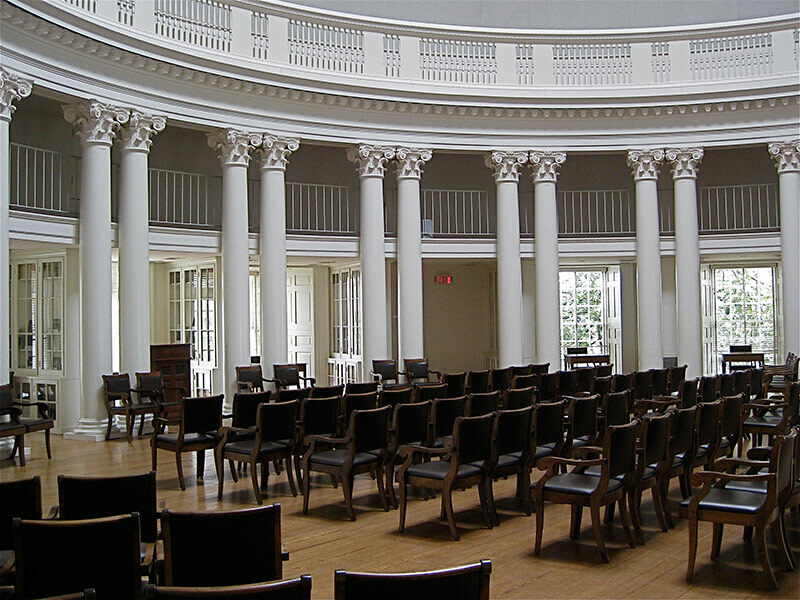 Future phases also call for interior restorations and adding an elevator to the structure.